Written by Joanna on Tuesday, 19 June 2012. 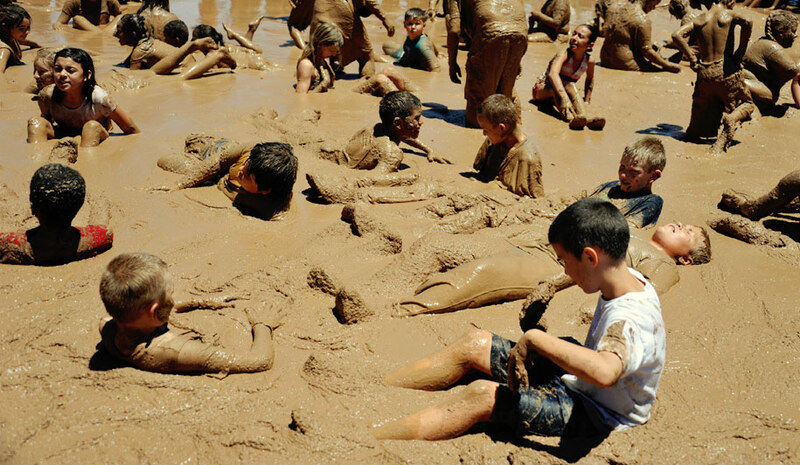 Only bad moms deliberately allow their children to immerse themselves completely in mud simply for the pure joy of getting truly filthy. The novelty of squish squishing in ooze . . . OK maybe we can spin this and say it's only good moms challenging their children to experience new things that allow this type of shananigans to go on. We celebrated a birthday in all boy fabness. 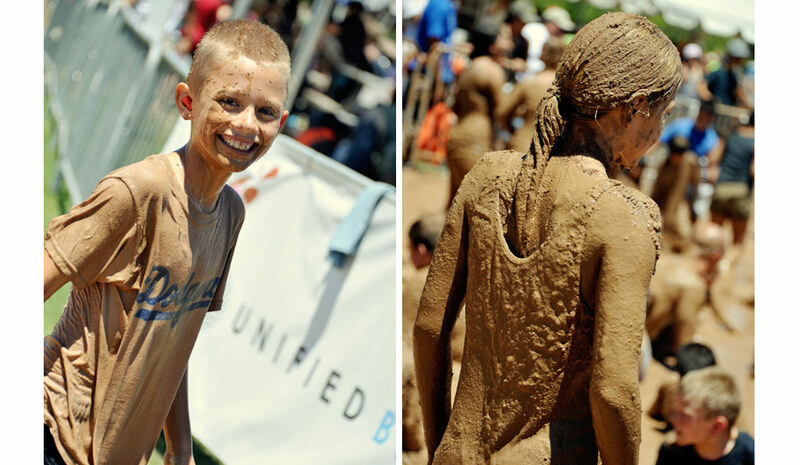 Mud Mania 2012 at Chapparel Park in Scottsdale AZ. Kudos to the other parents who waited through Disney-like lines to watch in total grossness the mess that was their children. Actually, I did get a thrill watching them get hosed down. I seriously need one of those super soakers in my backyard - I think every mother of sons at one time or another just hoses her kids down in the yard before allowing them back in the house.